Influenster is a website that sends you free boxes of products, or “Vox Boxes” in exchange for you doing tasks for them like taking surveys, reviewing products, using Twitter or Facebook etc. You do a bunch of these tasks first which increases your Influenster score. After you have grown that score you are likely to get sent a Vox Box full of products. Then you continue to tweet, review products, and just generally create a buzz about them. It took me a couple of months but I finally got my first box so I wanted to share what that could look like. This is Influenster’s “Something Blue” Vox Box which helps ladies get ready for the summer wedding season. Here is the breakdown of what was in the box. Dr. Scholl’s For Her, Ball of Foot Cushions. These are perfect for adding to high heals to save your feet from the pain of dancing the night away. The full Dr. Scholl’s cushions only work in sneakers or flats so these are perfect for wedding season. 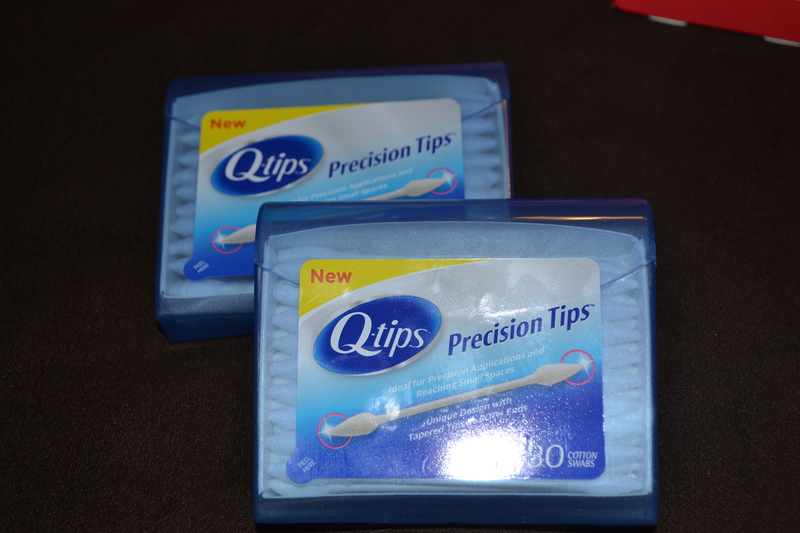 Q Tips Precision Tips. I’m guessing the thought behind these is to touch up makeup on the go instead of carrying a full set of makeup brushes in your purse. I usually carry a small clutch to weddings so this helps keep things compact. 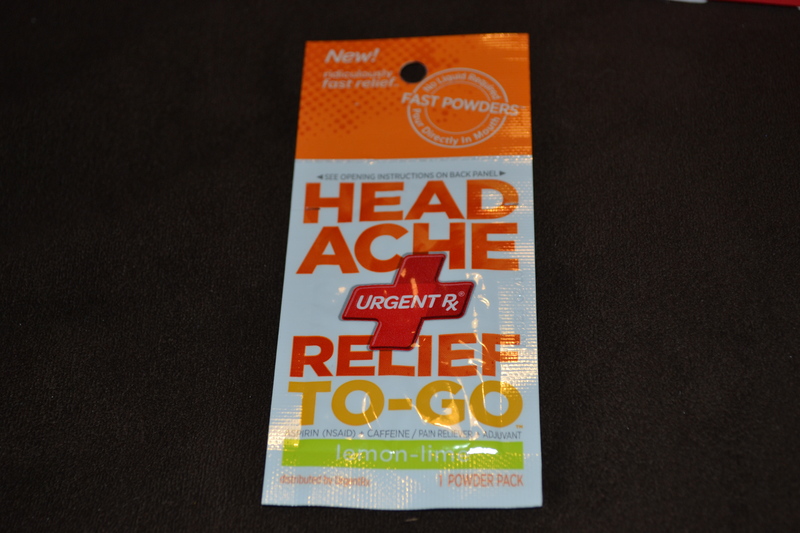 Headache relief powder. I have to say this is a pretty innovative product. Urgent RX makes a line of products that are “fast acting powders” for more than just headaches. They have these powders for allergies, aches and pains, heartburn, upset stomach and more. The packet itself is slightly bigger than a ketchup packet and is flat so it would fit perfectly in a clutch. The powder doesn’t need to be taken with any water or liquid. You just empty the packet into your mouth and that’s it. I haven’t tried it yet but this seems like such a great idea. I guess this can be wedding related if you have had a little too much to drink and need a quick cure. 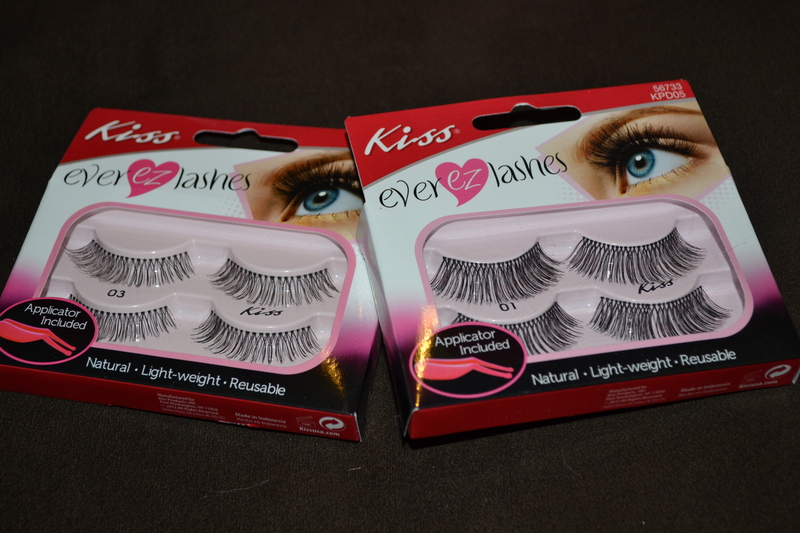 Kisses Ever Ez Lashes. Enough for the whole bridal party! I was given sets 01 and 03. Set 03 is a little more natural looking and set 01 is more dramatic. Perfect for day or night weddings respectively. They don’t come with the eyelash glue but they do come with a little pink applicator to help you hold it steady on your eyes. My dancers friends will be with me when I say I can’t look at a pack of eye lashes without getting dance competition anxiety. 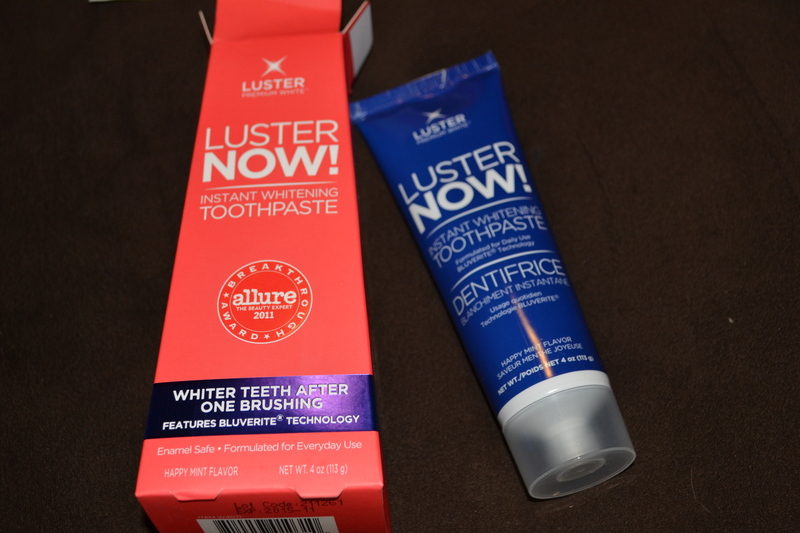 Luster Now Instant Whitening Toothpaste. I have been using this product for a couple days now and I actually have already seen a slight difference. I’m hoping after using the whole tube it will really make my teeth much more white. Sometimes whitening toothpastes can make teeth very sensitive but so far so good with this one as I haven’t felt any sensitivity at all. This toothpaste would get those teeth pearly white for all those wedding photos! 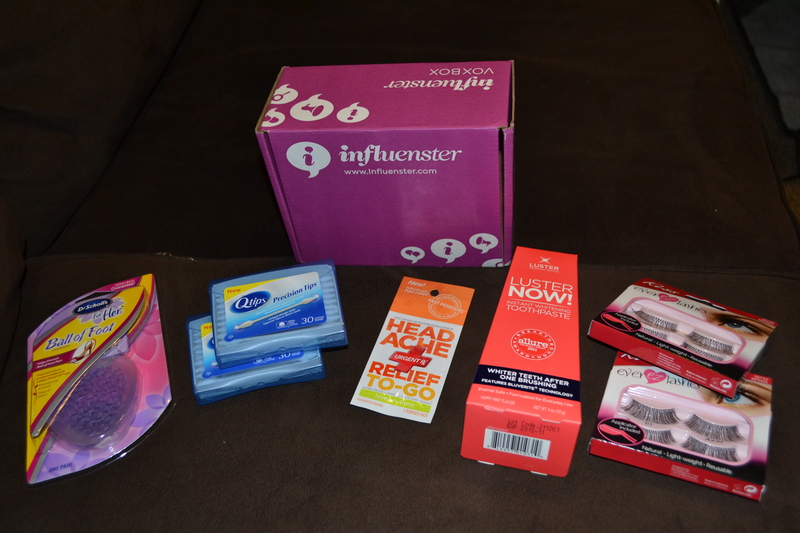 This is a pretty great box of free goodies courtesy of Influenster. If you haven’t already signed up I would head over there now and do it. It took me quite a few months to get my first box so don’t be frustrated if it takes you a while. I have to say it was worth waiting for.